The fast and on the go lifestyle of the modern world has caused an imbalance between day to day working and body fitness. We are often preoccupied in our work from dawn to dusk and there is no energy left for physical fitness and exercise by the time we finish our work. This, in turn, has given birth to a whole lot of lifestyle diseases and abnormalities like diabetes, obesity, heart attack, slip disc, knock knees, loss of stamina etc. Over the time, masses have become health conscious and we see movement towards yoga and gyms. Gyms and fitness centers are touted as the business to look for in the coming decades. Thanks to the concern about unhealthy eating and healthcare, there would be more and more people who would head towards fitness and wellness centers. Gyms and fitness centers would have to cater these demands which among others include personalized assistance and support in face of Personal trainer Gym. Firms working in the domain of fitness call for personal trainers to be hired for their setups. But hiring of personal trainers for their multiple locations is a task for which some professional expertise is required. Hence, these firms look out for recruitment agencies that can help them in getting quality personal trainers on board. Alliance recruitment agency with a network of recruiters pan-India and across the globe, has been offering personal trainer hiring solutions to its clients from quite sometime now. Delivering commitment and efficiency as a part of our service, we have got the distinction of being the best staffing solution provider. Firms operating in the fitness and wellness domain more often than not are seen floating vacancies such as ‘looking to hire personal trainers’. 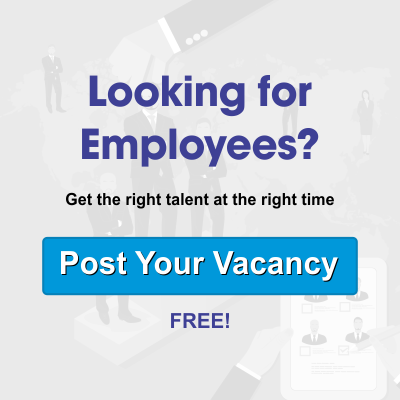 To hire and bring these trainers at their dispense in real sense, firms put these vacancy listing with their recruitment partner. With all these and many more benefits to be encashed ,recruitment agencies offer a lifeline support to firms in terms of manpower recruitment. Alliance Recruitment Agency with a global presence has been offering much more than what a client expects from its recruiting partner. We, bring to board professionals who have the capability to transform the growth and revenue prospects of a business. Alliance International has been providing recruitment services in foreign locations like Dubai, Canada, USA, England, Russia, China etc. The comprehensive network and wide experience of global servicing. make Alliance an able recruiting partner for your manpower needs. Firms looking for personal trainers and trainers who are looking to be placed, can connect with us at www.alliancerecruitmentagency.com. It would be a pleasure on our part to respond and deliver to your needs.